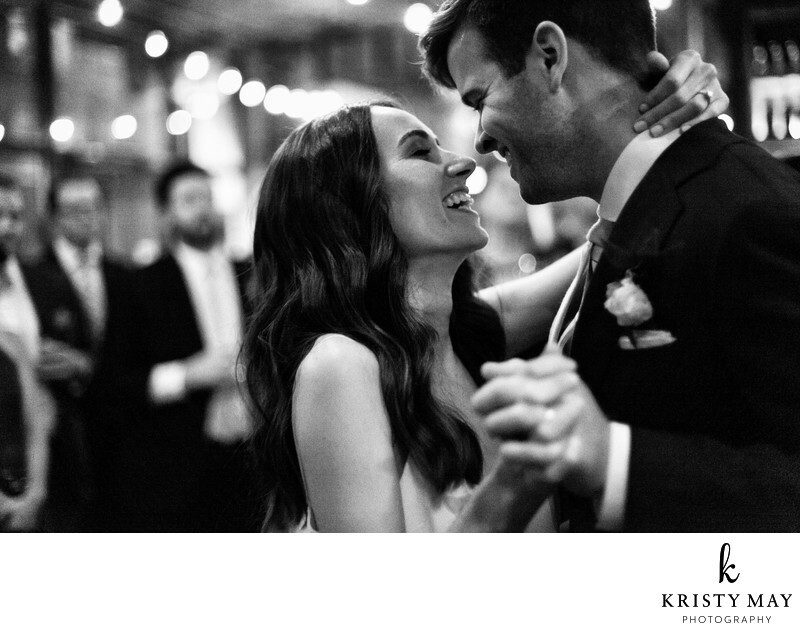 A bride and groom sway to the Silver Arrow Band for the first dance at their wedding at Brooklyn Winery. For more photos from this wedding, see the blog post here. When I first moved to Brooklyn Williamsburg was still undergoing dramatic change. I use to walk around taking photos of all of the vacant buildings and wonder what they may become. One of those buildings was this building that was an auto body shop and office area. Little did I know it would become Brooklyn Winery. 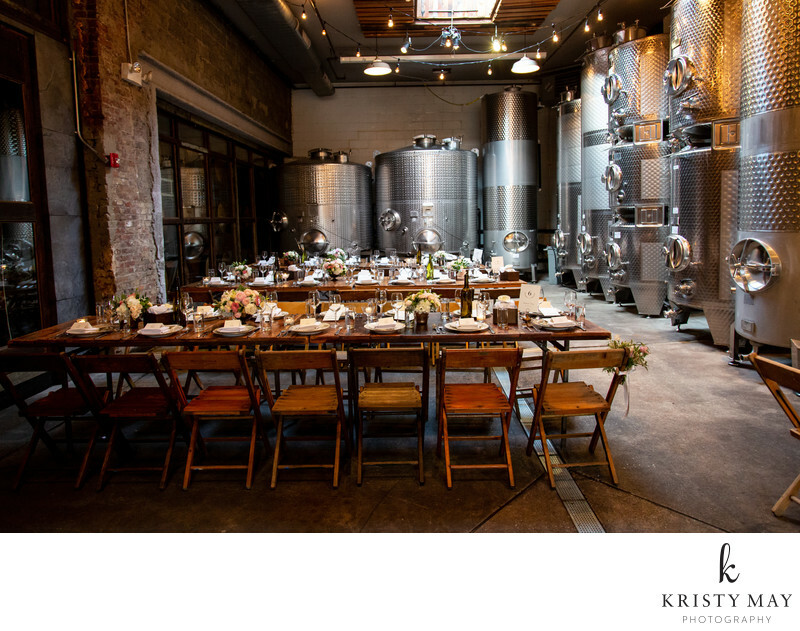 (See the blog post above for a link to the photos of the transformation) Today the urban winery is a destination for classic, but rustic, weddings and small batch wine lovers. 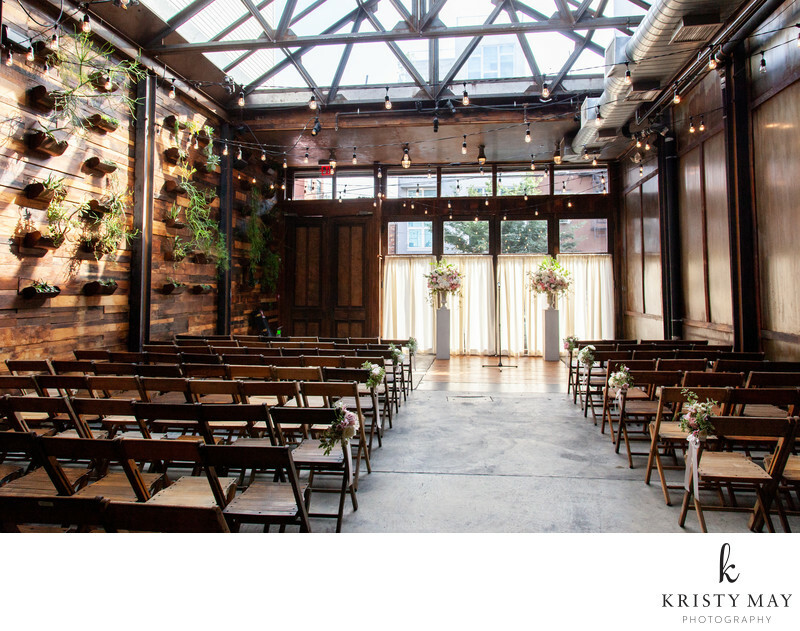 The ceremony locations is an atrium where once mechanics worked on cars, if you can imagine! The beautiful glass ceiling offers gorgeous light for photographers. During cocktails in the bar area the staff convert the room for a seated dinner. I believe they can accommodate up to 140 guests. The back room also features a skylight and a unique dining experience among a working winery. 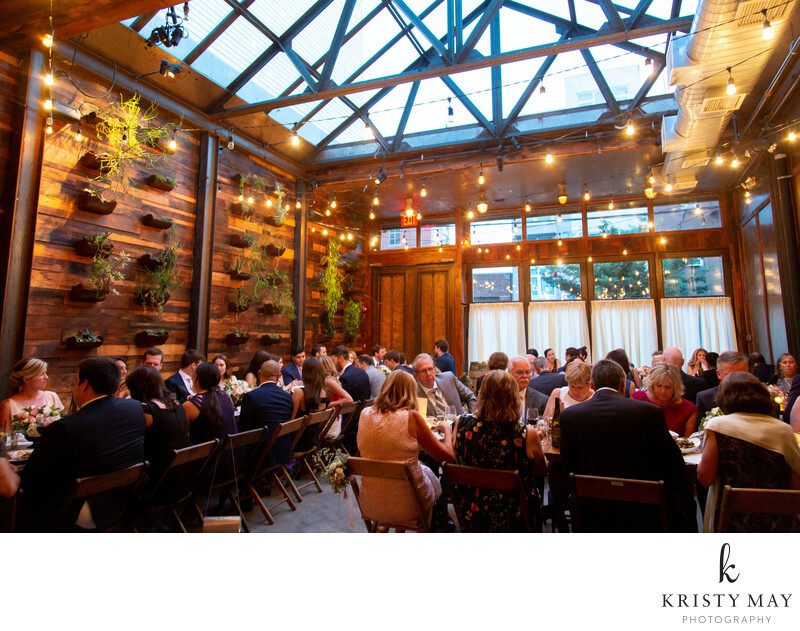 There are many more locations in this fascinating wedding venue. See the blog post for many more photos. Location: 213 N 8th St, Brooklyn, NY 11211.